글라스고, 스코틀랜드의 머천트 시티 인 | 호스텔월드에서 예약하세요. 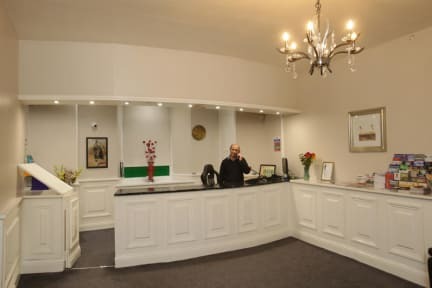 Located in the heart of the vibrant Merchant City district of Glasgow and just off Argyle Street, the Merchant Lodge is one of Glasgow's oldest buildings. Room rates are inclusive of a full continental breakfast and vat, served by the friendliest staff in Glasgow. Our superb location means a host of restuarants, pub-diners and night clubs to suit all tastes are only a short walk away. Our three star hotel offers 40 contemporary and stylish bedrooms equipped with essential in-room amenities. 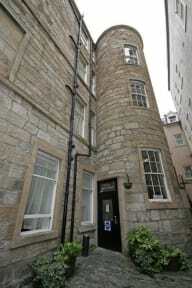 Guests have the choice of single, twin, double, triple, quad and family rooms at the Merchant City Inn. This property will pre-authorize the card before arrival. In case the card isn't valid, the customers will be contacted to provide the details of another valid credit card in order to guarantee their booking. Failure to provide this might result in the cancellation of the booking.